We do it all from simple replacement of broken glass to full restoration of damaged wood frames. Our expert craftsman have the skill to make most framing repairs. Services include structural repair of detached corners, retouching worn or chipped finishes, and recreating damaged or missing ornaments and embellishments! 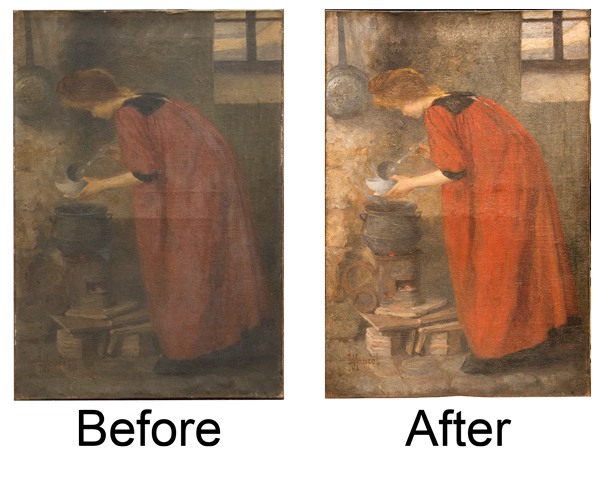 If you have artwork on paper that needs repair, we work with an expert paper conservator who can repair and restore damaged works. Damage restoration and repairs including tears, scratches, acid burn damage, mold and mildew remediation and so much more! An evaluation will be done on the work to figure out the best options for your particular needs. If you have an oil painting that is dirty, missing paint or has damage. 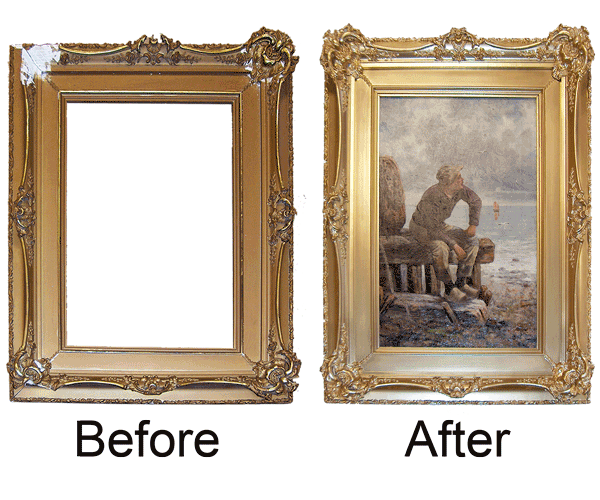 We work with an expert restorer who can bring your painting back to life. Restoration and conservation services including cleaning, re-varnishing, healing cracked paint, restoring dull or faded color, and mending torn canvas to make your painting look like new! 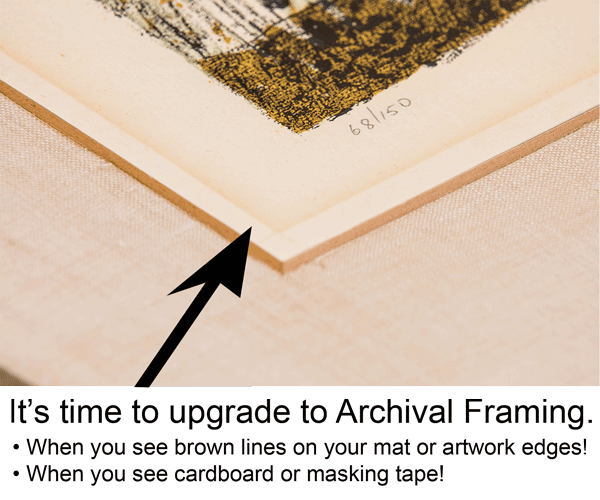 If you have artwork that was framed more than 20 years ago or has noticeable discoloration / fading, it might not include the proper archival materials to protect it from damage. Our expert services include checking your framing to make sure it is properly done to archival upgrades. Upgrades can be as simple as changing to U.V. filtering glass, replacing old mats, reattaching artwork to complete reframing. If you have questions about damage to your artwork or whether it is properly protected come see us for an evaluation.